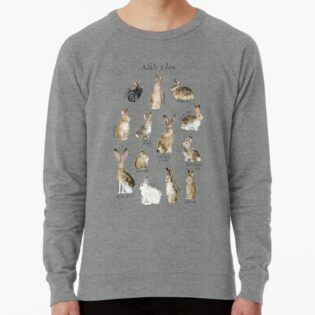 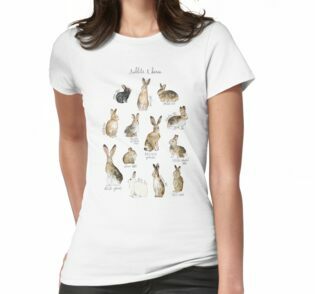 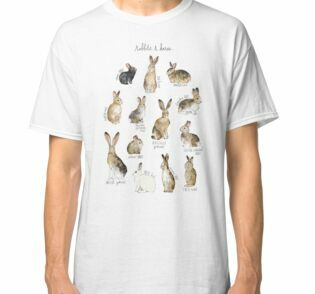 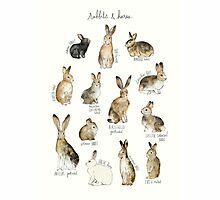 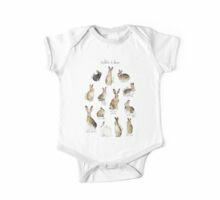 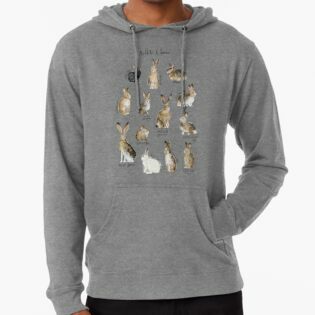 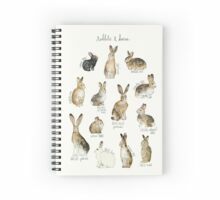 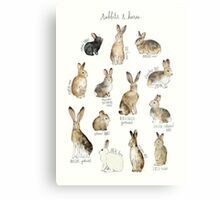 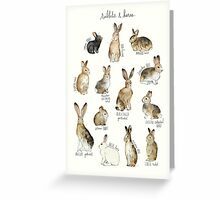 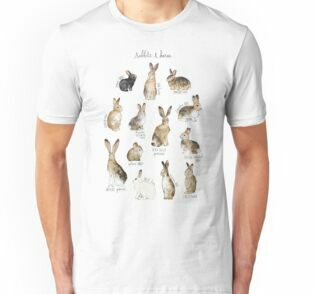 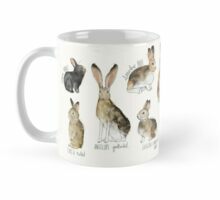 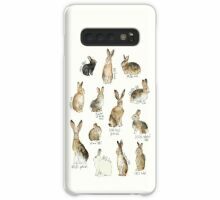 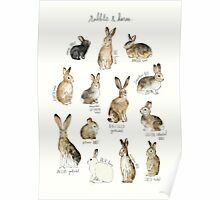 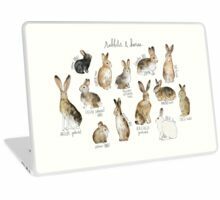 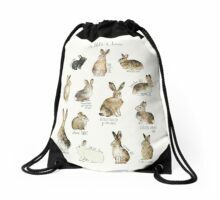 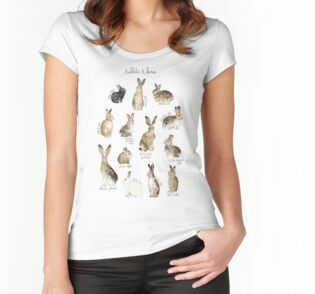 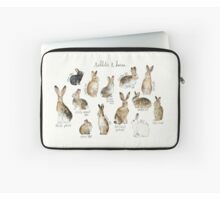 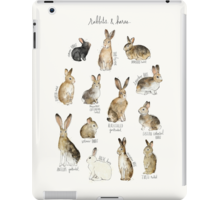 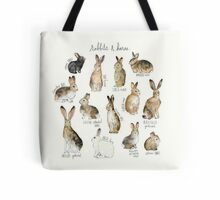 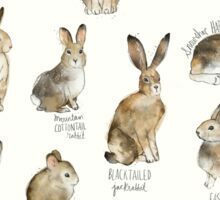 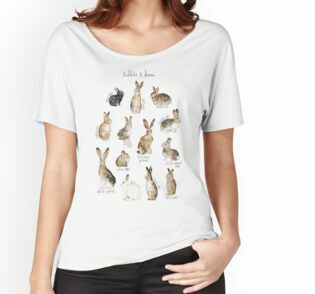 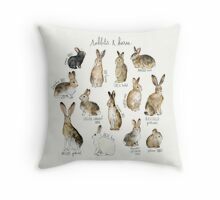 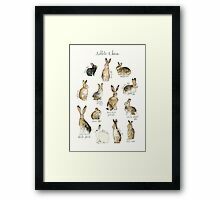 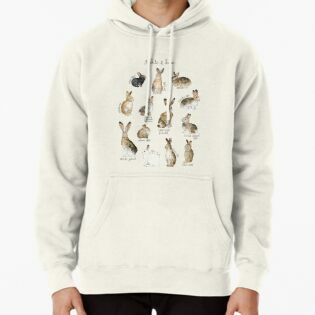 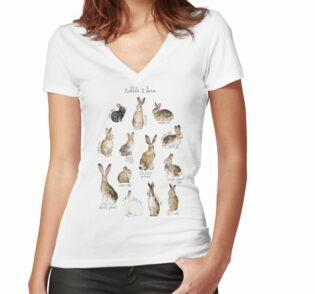 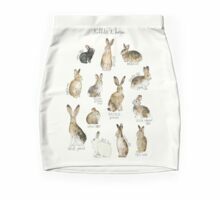 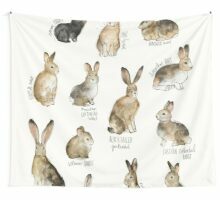 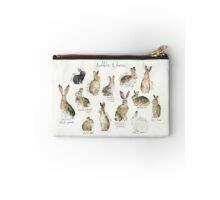 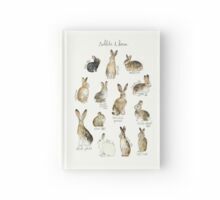 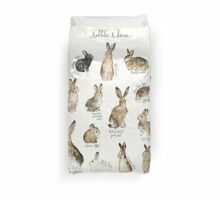 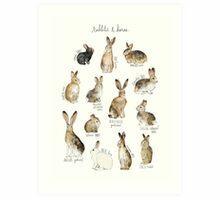 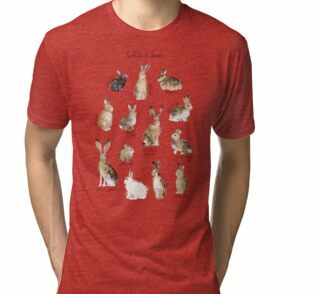 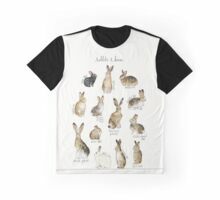 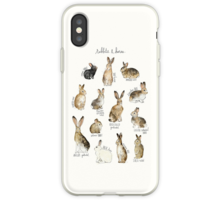 A chart featuring 13 rabbits and hares: the amami rabbit, woolly hare, bunyaro rabbit, european rabbit, mountain cottontail rabbit, blacktailed jackrabbit, snowshoe hare, eastern cottontail rabbit, antelope jackrabbit, arctic hare, european hare, and tapeti rabbit. 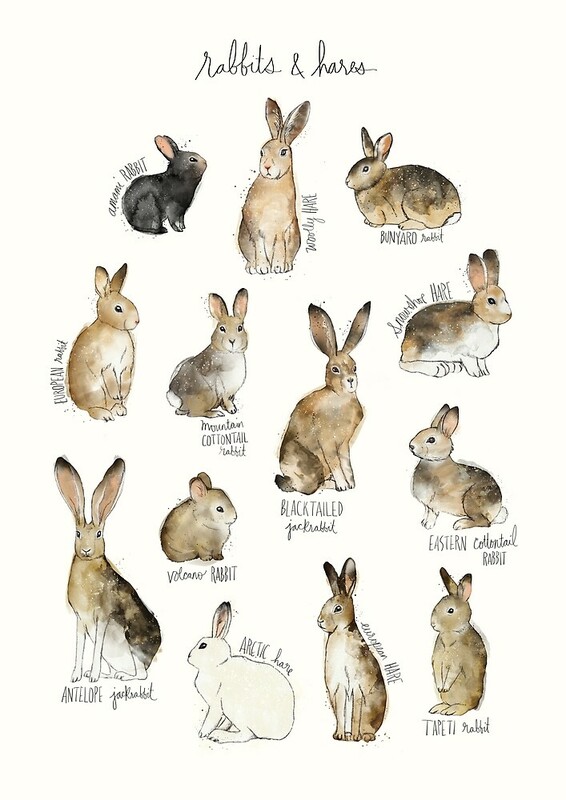 Sweet, beautiful and accurate. 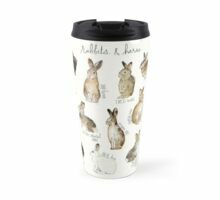 Love this work.